The invigorating, award-winning DJ has the remarkable skills to take his crowd on an energetic journey that has all the feels. Jeffrey was the DJ, producer, and frontman for Dash Berlin. He is highly aware that his success comes hand in hand with the love of his fans who have always supported him and remained loyal throughout his career. This heartwarming and lasting support is one of the key drivers of his journey. The DJ has a preference for emotional, energizing quality dance music and loves to bring that across on stage. Growing up in a family with a profound love for music, it was inevitable that Jeffrey's path would lead here. His late dad who was a distinguished drummer in a jazz band taught him how to play drums at a very young age. When Jeffrey was a teenager, his sister started introducing him to electronic music. From that moment on he developed his innovative style of mixing and producing. Soon he began hitting turntables and performing under the aliases Toxic and Jeff Bounce in clubs, house parties, but also in different festivals. He played twice at the Loveparade and three times at Defqon 1 under these aliases. 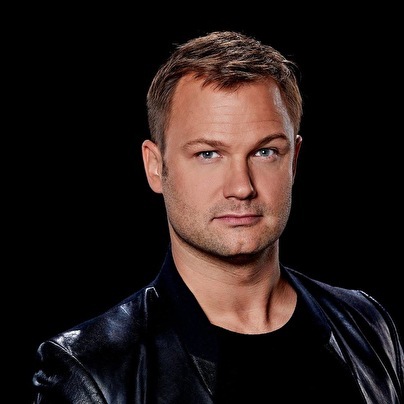 For the last eight consecutive years with stage name Dash Berlin, Jeffrey has been in the top 20 of the well-known DJ Mag Top 100 poll, rendering the most popular DJ's throughout the world, ranked #7 in 2012. In 2010 he won the DJ Mag Top 100 Award for 'Highest New Entry' during the Magazine's ceremony at the Ministry Of Sound in London, beating other famous Dutch DJ's such as Martin Garrix, Hardwell, Armin van Buuren and Tiesto as the highest Dutch entry till date. He received an IDMA award in the category 'Best High Energy Track' at the International Dance Music Awards in 2009 and was nominated for an IDMA award several times afterward. Some of the large festivals that Jeffrey headlined are Ultra, EDC, Sensation, AMF, Storm Festival, Mayday and A State Of Trance. He was also the resident DJ in Marquee Las Vegas for seven years. Frontman Jeffrey Sutorius van de populaire tranceformatie Dash Berlin zal vanaf oktober zijn optredens hervatten onder zijn eigen naam.